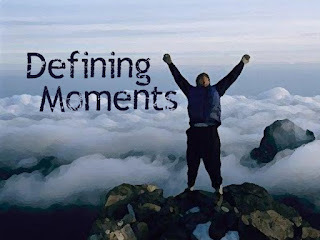 ​Defining Moments - Something New Everyday! Most of us can remember turning points, instances that changed the course of our lives somehow. We may not have realized it at the time, but certain events – or even sudden shifts in our thinking – would become "defining moments", after which nothing would be exactly the same. In some cases, these defining moments are obvious, like when parents get a divorce or our family packs up and moves across the country. Others, however, may not jump out at us so easily. We may not realize the impact, for example, of the loss of a friend or the moment we saw our father sobbing over the death of a family member. 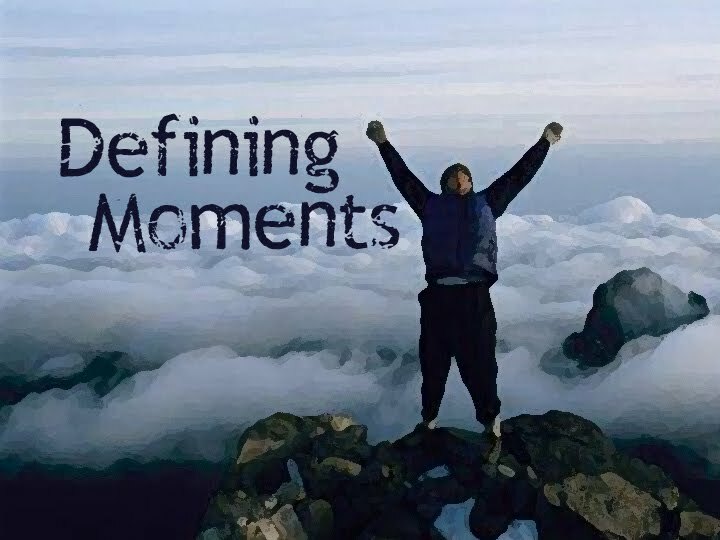 Major events happen throughout our lifetime, but defining moments are those that change our lives or our perspective radically. It could be a lesson learned, a test of our resilience, or a positive awakening (a teacher, for example, praising our artistic talent and opening our eyes to new possibilities).